Luckily enough, I knew some tricks about soundproofing the walls and when I realized that they don’t give a damn about waking up my baby every night, I decided to act. Since I was short with the money, my potential actions were limited. I started digging and found some solutions worth mentioning. Read on to learn more. Whether you are already a dog owner or you are considering getting one, you have probably thought of the problem of the dog’s barking at some point. Is it something that would bother you as an owner, or are you thinking about your neighborhood? If you are thinking about getting a dog, think about the breeds that are less likely to bark since some are more vocal than the others, and you are half way from not having a problem at all. On the other hand, if you already have a dog and are pressured by the neighbors to keep it quiet there are some options available. The kettle we boil water with is one of the very first appliances we use once we wake up. While it may not seem that important, for me, having a good kettle can make all the difference to my morning routine. I like having a quiet and calm environment in my house especially in the mornings. Therefore, it is important to me that my kettle gives a fast and quiet boil for my morning cup of tea – which is my favorite part of the day! There are many benefits to using a kettle to boil your water over simply using your stove or microwave. A kettle gives you not only a faster but also a more energy efficient boil. Also, if you are a tea drinker like me who is precise about the temperature of your water to get the best flavor out of your hot beverage, kettles are usually the best option for you to go. Since my house needed an arrangement, painting, and soundproofing, I figured it out and gave a try. Long story short, this soundproofing paint did the job. No matter how strange it sounds, it can work in certain situations. It’s true, it demands a bit of your time and effort, but the whole procedure is quite worth. Now, let’s learn some basics about soundproofing paint when to use it, how does it work, and finally, how to achieve the best results with soundproof paint. If you are reading this, you must have found yourself in a situation where you are exposed to a huge noise that has been affecting your sleep, work and most importantly – your inner peace. That’s why you’ve decided to dare yourself on a quest and find the best possible solution to soundproof your home or office. By now, you should have already located the source of the noise pollution and designed the whole soundproofing project (from the problem to the solution) and probably you have an idea where to find all the materials you need. There’s just one question that’s been bothering you – what’s the best sealant you can find on the market? You want something that will be firm enough and that will ensure that all of your soundproofing materials stay in place and do their job flawlessly. That’s why we will get familiar with the Acoustical Sealant and its characteristics that qualify it as the best. How to Quiet a Noisy Lifter: Can Noisy Lifters Cause Damage? If you are into cars, you are very well familiar with what a lifter is. The purpose of a lifter is to keep your engine quieter and at the same time to improve the performance of it and ensure long a healthy life of the engine. The fact is that they are made to keep the engine quiet and to be quiet themselves. However, sometimes lifters can go faulty too and start making unnecessary noise, that is surely not something that should happen. Sadly, this is not a rare problem. It can occur rather often in older cars and in those cars that have a really large mileage. And not to mention the cases when the car itself is not serviced regularly. The noise that they are producing can vary. It can last from just a few moments to the full time of a motor running. The noise that a faulty lifter can produce is usually just simple ticking or tapping, but when it happens constantly, it can be really annoying. Just remember the tapping of water from a leaky faucet. It is not much when you look at it, but when you have to listen to it; it is even more than annoying. Now, not that the tapping and ticking sounds of a faulty lifter are just annoying, but they can also cause or be a symptom of more serious problems on your car. If you do not take care of it in time, your engine might get seriously damaged. For this reason, I have listed four simple and common things that might cause a noisy lifter and I have also given you some of the solutions to the problem. But let’s first give a quick look at the damage it can cause and how harmful it can be. Naturally, we had to find the solution to this problem. We started looking here and there, we tried several different methods. Some of them worked, and some of them didn’t. 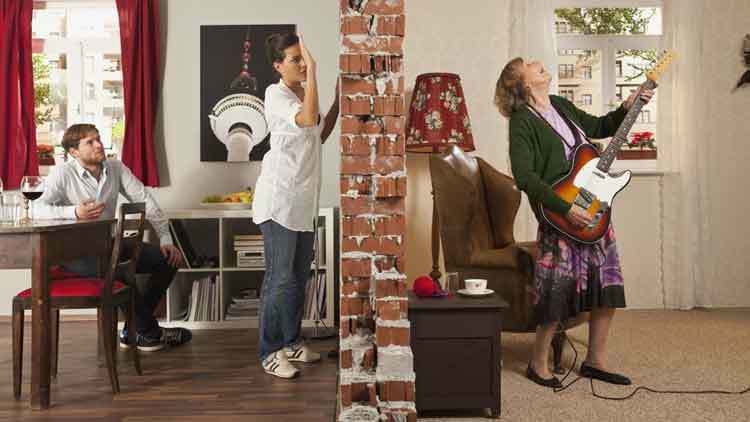 Noise Pollution Effects and Causes: What Can You Do? Wherever we look around, we cannot help thinking about the huge problem of environmental pollution. Even though some people do their best to keep things clean and be eco-conscious still there are those who simply don’t care a whit! But, if we use our ears instead of eyes, could we still talk about pollution? Even though this is not a visible type of pollution, it is very present in all aspects of our lives, which is why we have to raise awareness on the subject. My article here will try to give a better insight into this problem by defining it, listing the types, causes, and effect, along with some practical tips. 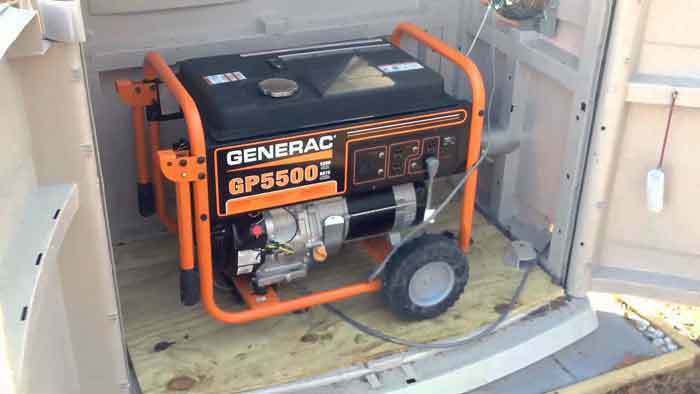 With many options at hand, finding the perfect generator for our houses and job sites is tough as hell. When you narrow it down to 3000 watts, the job becomes even harder. Don’t get me wrong, you DO get choices. But the hard part is to pick the perfect one. When you’re an advocate of a soundproof home like me, you tend to be choosy. That’s why combining a specific power range and less sound took some doing. After some research and practical experience, I’m able to pinpoint quietest 3000-watt generators that you should get next year (or right now if you’re in a hurry). Of course, you’ll find a buying guide detailing my researching process and factors that I considered while coming up with these products. We live in a place where natural disasters are not unknown, and they often lead to power outages. Well, now, no one likes to be left in dark, is it right? And for that reason, power generators might come in very handy to us. They are often used during and after power outages, while we are waiting for everything to get back on its feet again. Subsequently, another inconvenience might show up. Generators can be very loud. Just imagine the situation: a natural catastrophe occurs; there is an almost inevitable power outage; you are already frustrated and irritated enough, but you have remembered that you have a power generator in your house; so you find it, turn it on, and it starts buzzing like crazy. Not very convenient now, is it? Well, there are a few things that you can do. First resolution to a buzzing power generator is buying a soundproof box for your generator. Alas, these generator quiet boxes are very expensive. Yet, there is another resolution that I will be telling you about today. And that resolution is building your own soundproof box for a generator. So, let’s begin from the scratch.